Next, to introduce the marks themselves, I was looking for something other than just plain old white boarding. 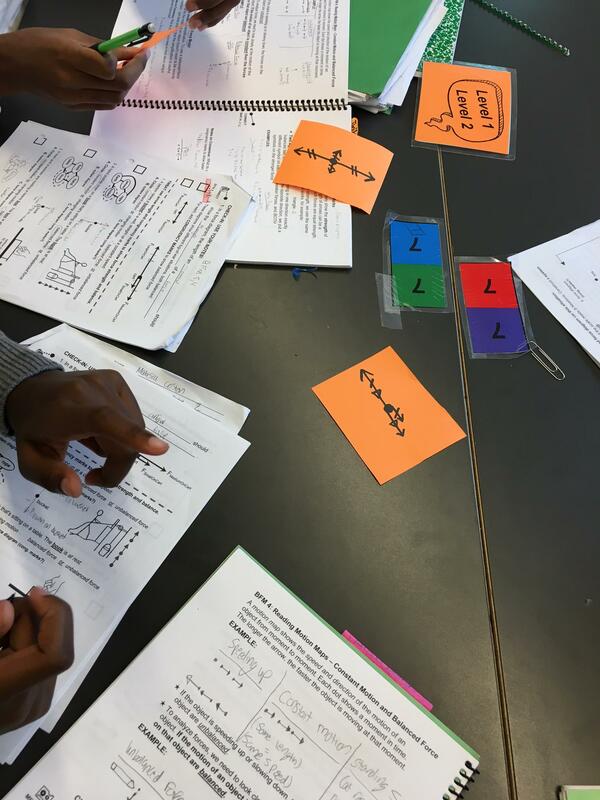 I made six cards with force diagram templates (two shown here in orange here), and student had to label the names of forces and decide which applied to which situation. They enjoyed this more than just making a single whiteboard and discussing for a while, and it made for good discussions. One diagram showed two equal forces balancing out one longer force, and a lot of students applied to a boy and girl holding up a box. Hurray for gender equality!! 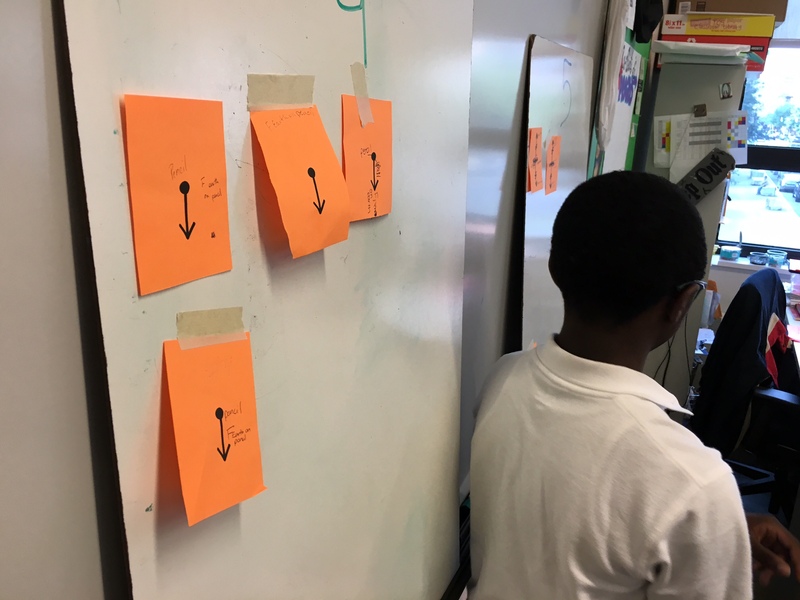 After labeling, students sent a “runner” up to a board designated for each problem, and taped their card up. This gave us a chance to really talk about the different choices. This one was pretty easy, everyone agreed, but next year I may make it fit a slightly trickier situation.